SKF’s high performance parts and specialist technical knowledge are once again helping the Ducati Team prepare for success in this year’s MotoGP World Championship. 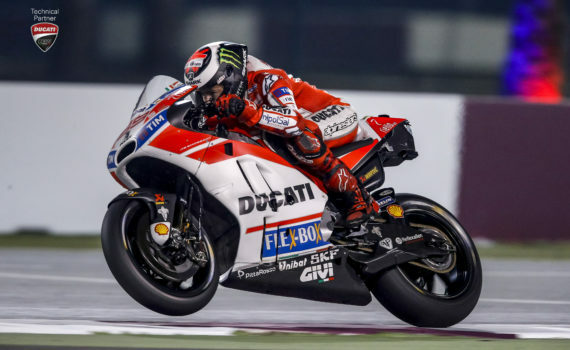 The season started on March 23 with the Grand Prix of Qatar on a track that last year saw the Italian motorcycle manufacturer not only place second thanks to Andrea Dovizioso but also claim the circuit’s top speed record with Andrea Iannone’s 351.2km/h. The 2017 Ducati Team line-up will see five-time world champion Jorge Lorenzo from Spain join Italian Andrea Dovizioso for the 18-round season. SKF is supporting Ducati with the design and validation of a broad range of specialist components that boost the performance of its purpose built racing machines. The custom engineered parts include deep groove and angular contact ball bearings, cylindrical, spherical and needle roller bearings, hub bearing units and inner rings. The bespoke parts are developed to withstand the tough demands of the motorsport sector and feature special materials, such as viton, and heat treatments for consistently reliable, high precision operation. SKF also analyses the parts returned from races and track tests in dedicated laboratories to ensure every component is continually being improved further and optimised.